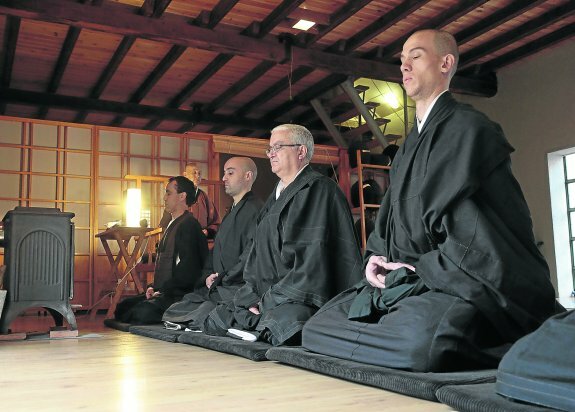 Over the last twenty years, since the founding of the Mokusan Dojo in Madrid (1994) there have been many interviews and reports that have made us in the Spanish media. During the autumn of 2016 we received journalists from Canal Extremadura TV and the newspapers Hoy and El Comercio. In November, the Extremadura TV Channel visited Shorinji and interviewed our Master, publishing the report on the Extra-Tarde program on November 18. The other media in Extremadura echoed the program and we received the visit of the journalists during the first week of December, coinciding with the celebration of the Constitution. Their visit allowed us to contact and engage in conversation with various members of the Sangha, in addition to chatting with our teacher, Barbara Kosen. Next we give the links and details of the interview and the report so that you can access them.